The Apple Watch is set to hit the market in “early 2015,” which may actually mean sometime in the spring of next year by some accounts, and analysts are already creating predictions for first year sales. 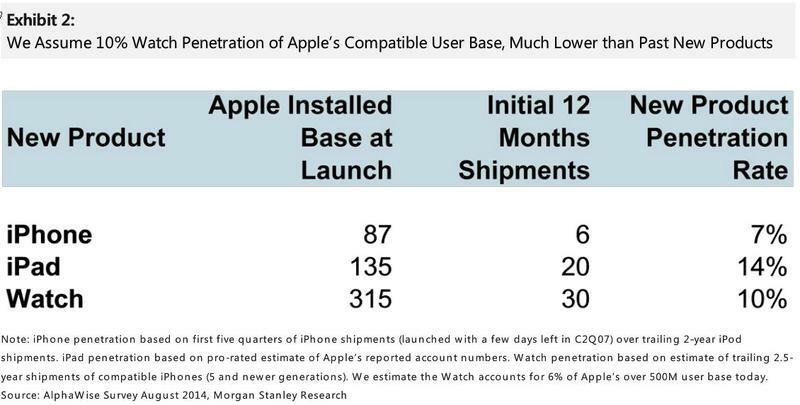 In a new analyst report from Morgan Stanley, the bank says it believes that Wall Street is “underestimating” its predictions for Apple Watch sales, with a consensus that Apple will sell somewhere between 10 million to 12 million units during its first year on the market. 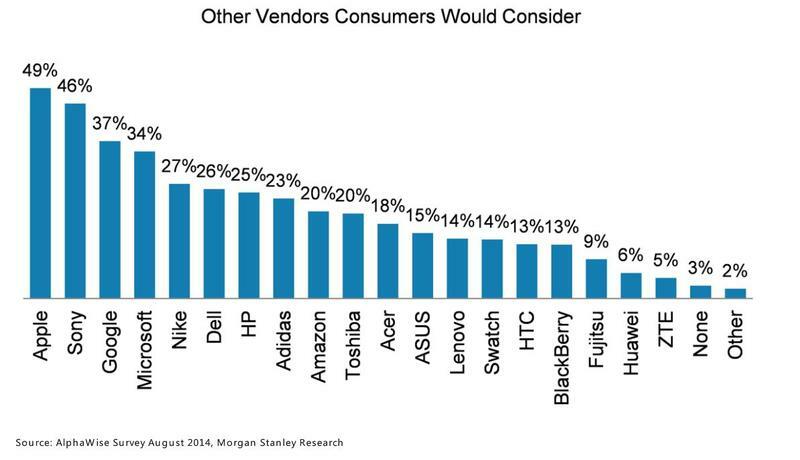 Morgan Stanley argues that Apple may actually sell far more, about 30 million units in its first year, and that about 10 percent of iPhone owners who own an iPhone 5 or newer will purchase the Apple Watch. Morgan Stanley says that Wall Street was just as skeptical about the iPhone and iPad before both products launched, predicting first-year sales of 9 million and 5 million units, respectively. Apple ended up selling 12 million iPhone units in the first year and 15 million iPads. 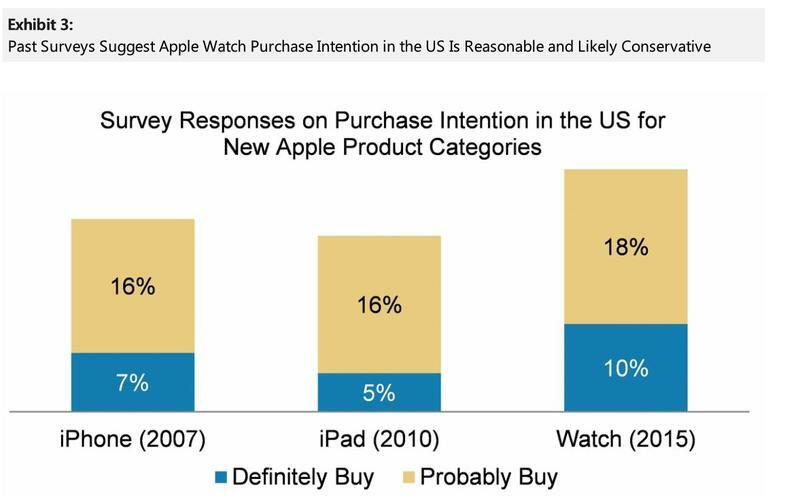 A survey conducted by the firm found that 10 percent of consumers will definitely buy the Apple Watch while 18 percent said they would probably buy it. Both figures are higher than the same responses for the iPhone in 2007 and the iPad in 2010. The survey also found consumers are more interested in a wearable from Apple than from competitors such as Google, Microsoft and Nike, all of which already sell wearables.